The Yorke Arms is available for private dining whether you’re celebrating a milestone birthday or wedding anniversary, planning a wedding, or hosting a shooting party or corporate dinner. In addition to The Yorke Arms Restaurant which seats up to forty guests and The Little Dining Room which seats up to 20 guests, we also have The Onion, a spectacular outdoor dining space located at the very heart of The Yorke Arms vegetable garden and the welcoming and relaxed ambience of The Snug, each of which can accommodate up to 10 guests. For the ultimate in privacy, The Yorke Arms is also available to hire exclusively, click here for more information. Whatever your occasion, talk to us about everything on your wish list and we’ll do our utmost to match your aspirations and create an event – and a bespoke menu – that surpasses all your expectations. 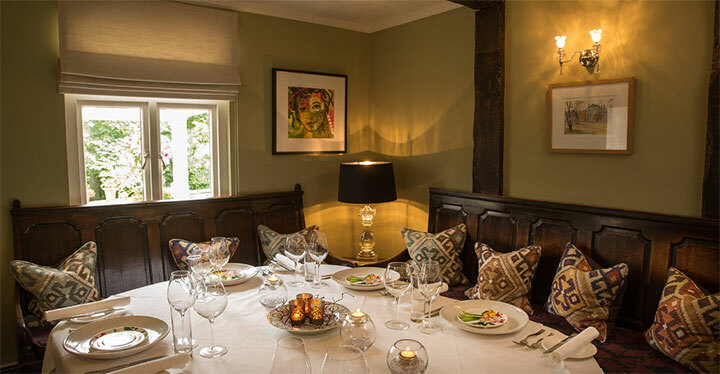 Hidden away in a quiet corner of The Yorke Arms, The Snug is a welcoming and cosy private dining room where up to 10 guests can experience a bespoke tasting menu that Chef Frances Atkins will create especially for your special occasion. 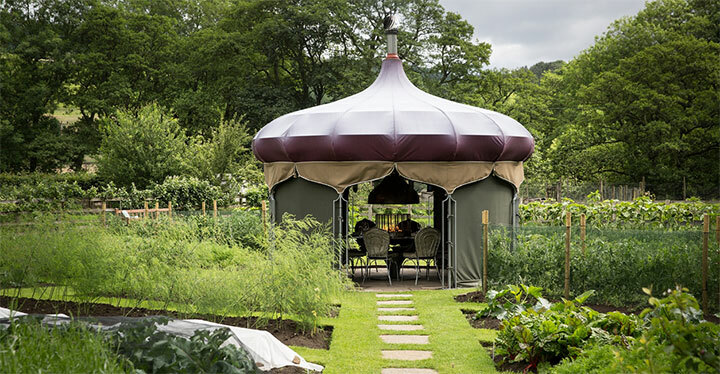 Set in the heart of The Yorke Arms vegetable gardens and surrounded by the rich flora and fauna that provide inspiration to so many Yorke Arms dishes, The Onion offers a private and unique dining experience for up to 10 guests in a spectacular setting.